When we think of healings in the Bible, we tend to think of all those jaw-dropping physical restorations: lepers made whole, the blind healed, the lame suddenly leaping through the air. Without question, these are marvelous demonstrations of God’s power. Yet His power far transcends the physical realm. God created us in His own image, which means that He gave each of us a mind, a will, and emotions, and He enabled us to have relationships. We are complex beings, and our brokenness due to sin is complex as well. Sometimes our deepest hurts cannot be seen on an X-ray or through the results of a blood test. If you’ve wallowed in guilt and shame, felt the heartbreak of a broken relationship, agonized over a wayward family member, felt grief over a lost loved one, or been disappointed by an unfulfilled dream, you know that spiritual, emotional, and relational hurts can sometimes be more painful than physical maladies. The good news is that God is able to heal more than just the physical—much more. In fact, our greatest need, and the one emphasized the most by the Hebrew word rapha, is spiritual healing. When Jesus was on earth, He healed many. But none of these healings was ever an end in itself. Each compassionate healing was a sign of things to come. These physical healings pointed people toward the kingdom of God that was coming, toward a new heaven and restored earth, where there will be no more pain, no more suffering, and no more tears (see Revelation 21:4). Today, when God heals—a broken bone, a broken heart, a broken relationship—He is giving us a foretaste of what is to come. 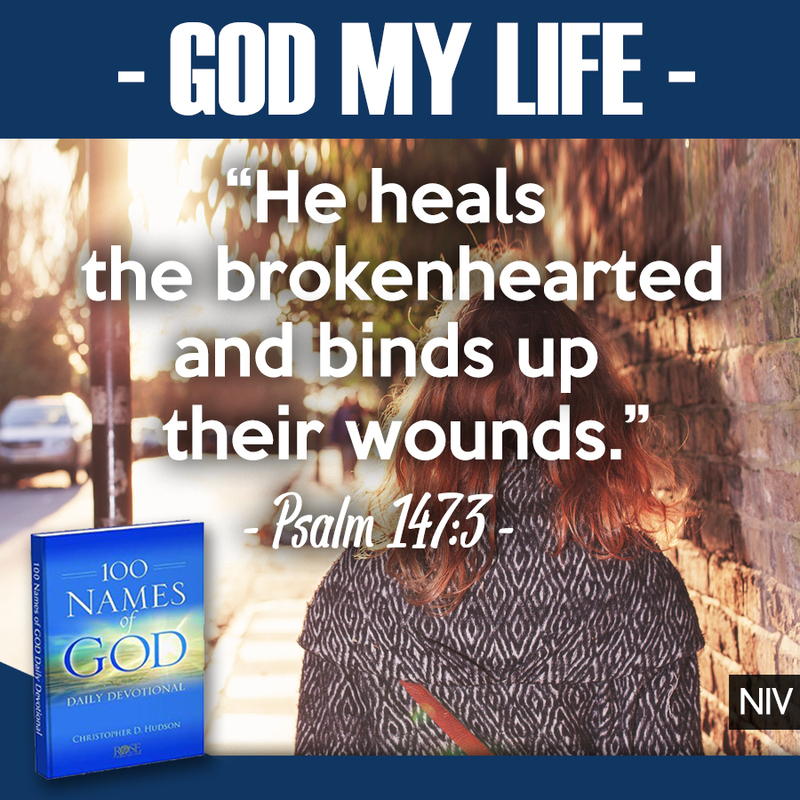 God is Jehovah-Rapha, our healer. God alone saves from spiritual death. He only can give eternal life. Lord, thank You for caring about every part of me. You desire that I find healing—physically, emotionally, and most of all, spiritually. Thank You for providing me with a way to be healed of my sin. Amen. 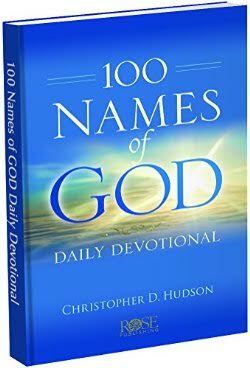 This blog post is adapted from my newly released book 100 Names of God Daily Devotional. You can learn more about it here.